To coincide with the International Day against Drug Abuse and Illicit Trafficking on 26 June 2012, the United Nations (UN) General Assembly (GA) held an ‘informal’ debate in New York on the issue of drugs and crime as a threat to development. Ann Fordham suggests the real threat, however, remains the same old tired and failed thinking that is entrenching, rather than reducing, harms from the international illegal drug trade. The call for this debate reflects UN discussions about transnational organised crime and its link to the illicit drug trade. In September of last year, UN Secretary General Mr Ban Ki Moon set up a UN taskforce, to be led jointly by the UN Department for Political Affairs and the UN Office on Drugs and Crime (UNODC), to mobilise the UN in a co-ordinated and coherent response. The challenge to the UN of developing a system-wide response on the issue of drugs and organised crime should not be taken lightly. For many years, civil society actors have been calling for UN agencies to ‘speak as one’ on an evidence and rights- based response to reducing drug-related harm among people who use drugs. HIV prevention in particular has been at the top of this agenda. There has been some progress on this issue, with broad acceptance across UN bodies (after many years of sustained civil society advocacy) of life-saving harm reduction interventions such as needle and syringe programmes and opioid substitution therapy as key interventions for the HIV response. However, in recent months, we have witnessed a concerning roll-back by the UNODC on harm reduction and a misrepresentation of the agreed best strategy for HIV prevention among people who use drugs. This was well illustrated by my colleagues from the International Network of People who Use Drugs and Harm Reduction International in their guest editorial in the May 2012 edition of this publication. There, they discussed the censorship of civil society voices at this year’s 55th Session of the Commission on Narcotic Drugs and moves by UNODC to reframe abstinence-based drug dependence treatment as effective HIV prevention. The UNODC’s misguided leadership on this issue is particularly worrying given it is the lead UN agency for responding to HIV prevention among people who use drugs under its mandate as a co-sponsor of UNAIDS. These recent developments highlight the ever-pernicious tendency to promote zero-tolerance approaches to drug use in an unfortunate recycling of the powerful ‘drugs as a threat’ narrative, despite the overwhelming evidence for both the failure and negative consequences of this approach. It is this ‘drugs as a threat’ narrative that was used to frame the GA debate on 26 June. 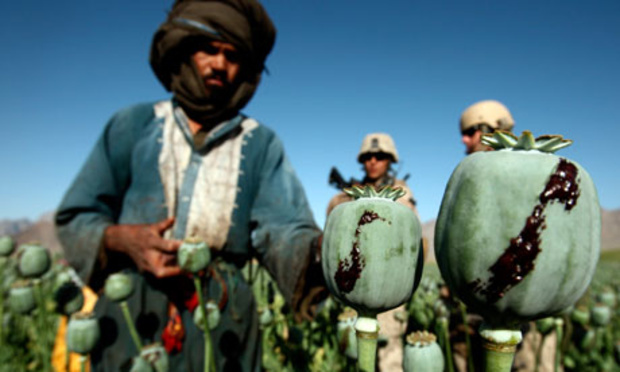 While there is absolutely no doubt that the power and reach of transnational organised crime and the activities in which such groups are engaged seriously undermine global development objectives enshrined in the Millennium Development Goals, presenting the issue in these terms reinforces the idea that people who use drugs, farmers engaged in producing drug-linked crops and the ‘little fish’ in drug distribution networks are also the ‘threat’. This conveniently ignores the fact these groups are often the most marginalised in society and their involvement in the drug trade is based on a complex combination of factors such as socio-economic status, marginalisation, vulnerability and geography. The ‘drugs as a threat’ discourse has justified punitive measures towards consumers of drugs, crop eradication schemes and resistance to pragmatic harm reduction measures on both the demand and supply sides of the drug market. The actual GA debate was chaired by Mr Yuri Fedotov, the Executive Director of the UNODC. As predicted, it was fairly uninspiring, which is typical of these large diplomatic gatherings. There were the many routine and hollow statements from most member states echoing those we hear each year at the CND. There were, however, a few progressive interventions that reflect the recognition by an increasing number of governments that the drug control system is in need of modernisation and reform. The US, for so long the main proponent for prohibition, reiterated its statement that we need to prioritise treatment over punishment. Guatemala robustly defended its call for a review of current drug policies and Luxembourg highlighted the need to take under serious consideration the recommendations of the Global Commission on Drug Policy. These cracks in the consensus are heartening. Yet, to really shift the debate towards reform, there needs to be clear acceptance of a number of inconvenient truths – the greatest of which is that the huge political and financial commitments to eradicating the illicit drug market have failed. The global drug trade has not been contained and is estimated to be worth some US$300 billion, most of which is in the hands of organised crime. The second inconvenient truth is that many of the security and law enforcement-focused strategies employed to this end have only served to exacerbate the problems: the illegality of the market fuels the profits of organised crime and drug market violence; the criminalisation of people who inject drugs drives the HIV epidemic and leads to the overburdening criminal justice and prison systems; and harsh supply reduction strategies lead to the destruction of the livelihoods of some of the most marginalised communities for whom the only existing viable economic option is the drug trade. In understanding the multi-faceted nexus between drugs and development and how to respond effectively and appropriately, there must be a coherent strategy in which drug control objectives do not adversely affect the same communities that development policies are designed to support but that instead are integrated, sophisticated and pragmatic. The real threat to development would be to complacently recycle wasteful, failed and counterproductive strategies. This article was initially published in Matters of Substance, August 2012.